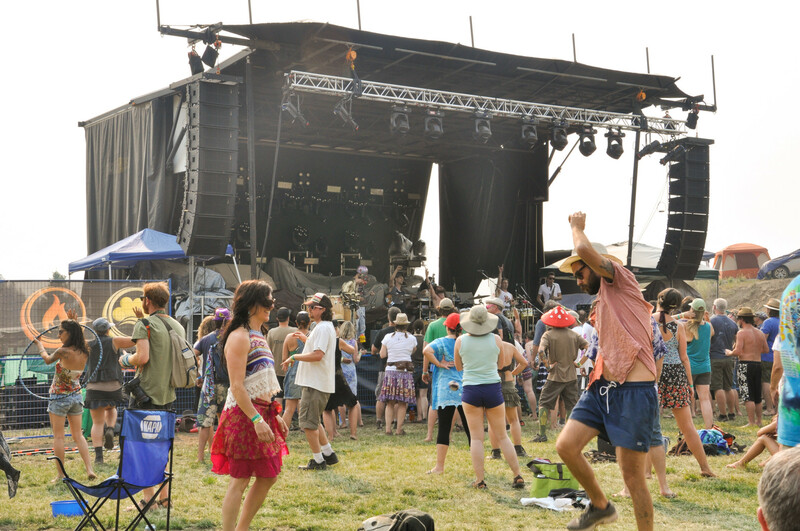 After last year’s success, Element Music Festival returned to the B.C. interior for another year. Running from August 3 to 6, this year’s festival featured many returning artists, such as Genetics, Five Alarm Funk, and Big Easy Funk Ensemble. 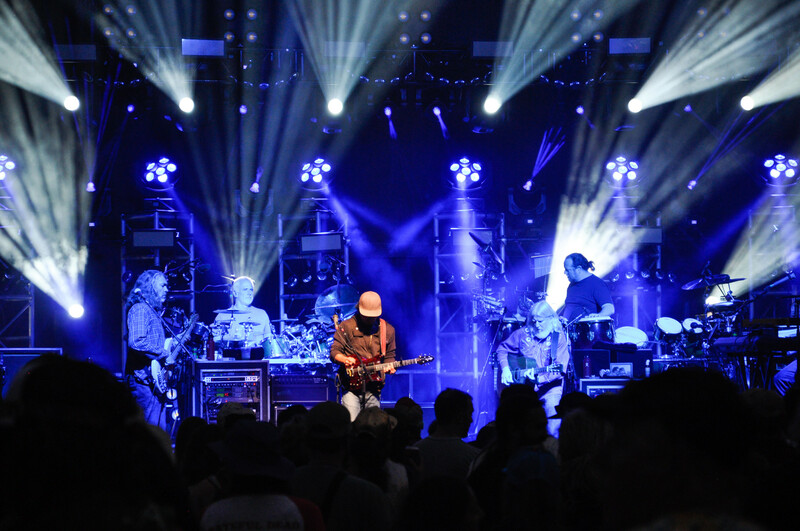 This year also featured many more improvisational jam bands than before, with acts like Garaj Mahal and The String Cheese Incident taking the stage. Both bands played groovy and lengthy sets, that would likely remind many festival goers of the psychedelic ‘60s. Unlike last year, where there was more of an emphasis on the diversity of artists, this year Element’s theme seemed to center around jam bands, with a few exceptions. Despite the decrease in musical diversity, Element was able to draw 1,100 people on the festival’s busiest night, Saturday, according to organizer Keith Duggan. While dwarfing last year’s attendance of just over 300 people, many of this year’s festival-goers were surprisingly not local. Hundreds of Americans crossed the border to brave the heat and smoke at Snug Lake, many of them coming to see The String Cheese Incident. The band, which has a cult-like following, brought in fans from as far away as Arizona and North Carolina. Both The String Cheese Incident and Garaj Mahal, with their three sets each, undoubtedly put on a good show, but they weren’t exactly playing music you could dance to. The party atmosphere of last year’s festival, which featured a more diverse array of artists playing rock, funk, jazz and electronic seemed to be missing from Element this year. The result of this was apparent in the faces of many of this year’s attendees, this year’s crowd was generally older. 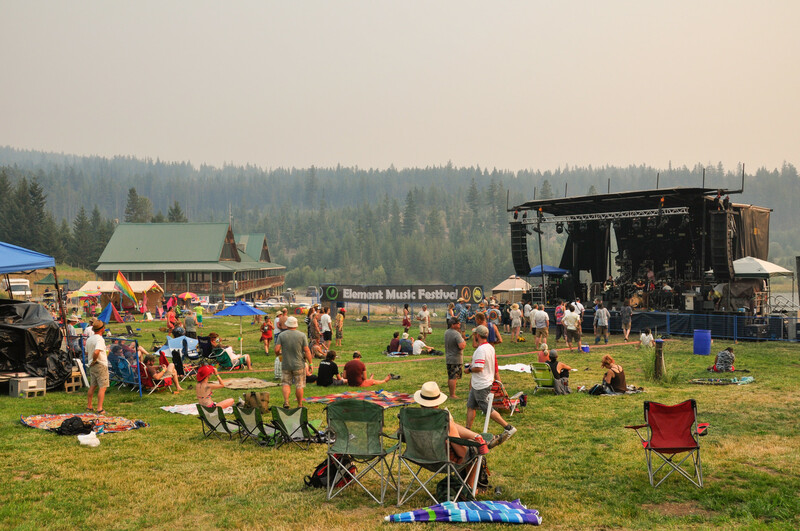 While there was a number of young, university-aged people at Element this year, many of them seemed to be die-hard fans of a particular band, not locals, nor music festival aficionados. Many of this year’s attendees were baby boomers who had come to relive the days when music festivals were about good tunes, free love and spirituality. With an older crowd and slower music this year, I can’t help but feel that Element may have pushed away some younger people who were originally interested. That being said, Duggan and his crew were able to make this year’s festival better in a number of other ways. From a logistical standpoint, this year saw a lot of improvements. The campground for family and car parking was much more open, with many trails leading down to the amphitheatre. While the massive hill between the campground and the amphitheatre remained, more robust trails made the hike down, or up, a little easier. Portable toilets were in abundance this year – something many music festivals can never seem to have enough of. Staff had bags of ice for sale to keep food and drinks cold throughout the hot weekend, and had even set up a general store to sell necessities like sunscreen, as well as merchandise. A tented “food court” was also set up to give festival goers a place out of the sun to eat. Food trucks serving Mexican food, Chinese dishes cooked in woks and donairs were all available throughout the weekend. Next to the food trucks, vendors set up shop. While some sold beautifully intricate brass jewelry or handmade clothing, the Amber Light Compassion Society, a dispensary from Cawston, B.C., treated customers to an abundance of different strains of marijuana, edibles and THC distillates. They even offered dabs for $5. All in all, Element 2017 was a much more refined and grander event than it was in its inaugural incarnation, yet it also seems to have lost some of its appeal to younger crowds. In the future, a more diverse lineup could bring in not only more people and excitement, but also some of the magic that was in the atmosphere of the very first Element Music Festival.